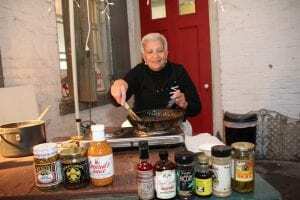 Creole Delicacies is a popular stop on New Orleans Culinary History Tour largely because of the roux cooking demonstration. 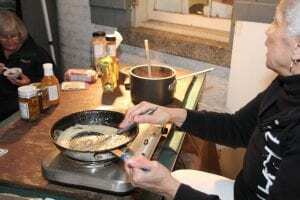 Though roux is a classic French method of cooking butter and flour together to thicken a dish, most New Orleans cooks use oil and flour to thicken our gumbos. The use of oil rather than butter allows for the roux to darken which gives our gumbos an intense almost nutty flavor. The smell of a roux cooking is the scent of and base of classic New Orleans dishes found throughout restaurant and home kitchens. Other culinary history classics visitors enjoy on the tour are Turtle Soup and Pralines. The abundance of snapping turtles found in our local waters made its way to the soup pots of many Creole cooks. 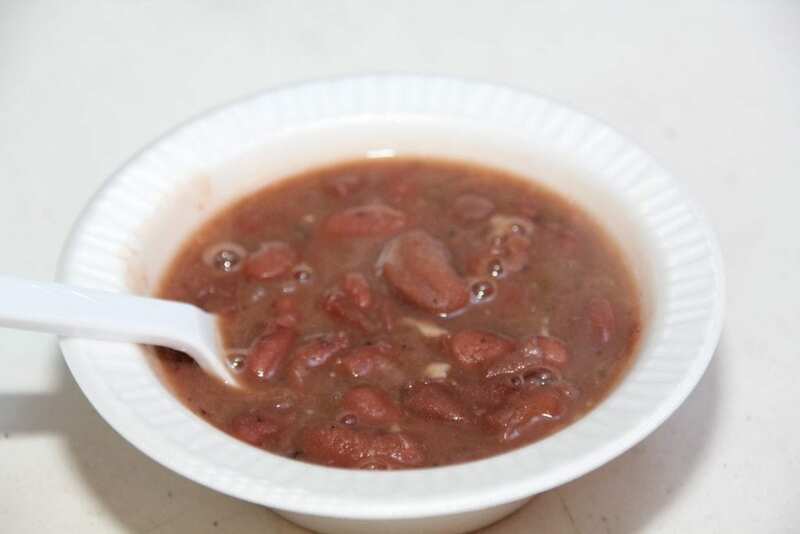 Turtle Soup is truly representative of what Creole cooking is – using native foodstuffs with European cooking techniques. Early recipes give precise instructions for how to remove the meat from the shell to ending the dish with Madeira wine. Contemporary chefs finish the dish with Sherry. 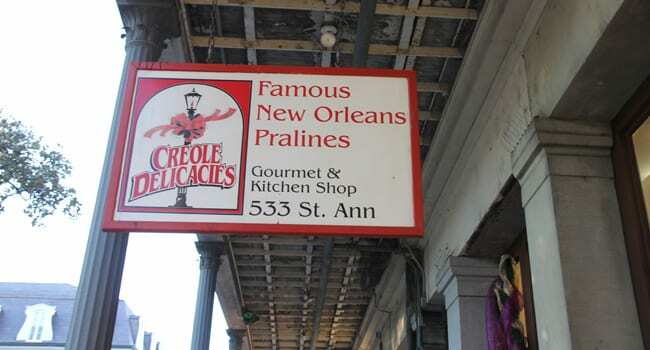 And Pralines also represent the meaning of Creole. Again using local foodstuffs, in this case pecans, which replaced the original candy coated almonds the French used. And because Louisiana has a culinary heritage of growing sugar, the combination of local sugar and pecans makes this candy a true culinary Creole creation.